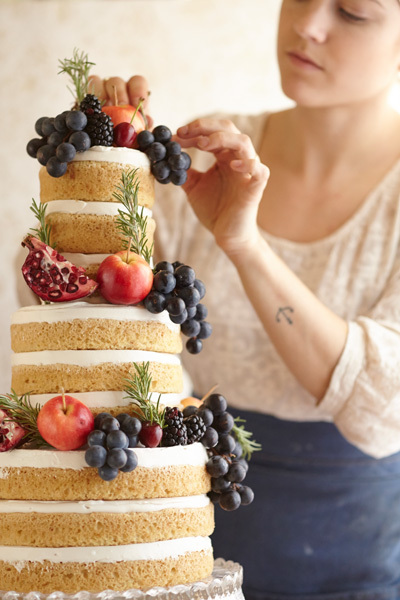 At her celebrated bakery, Lael Cakes, Emily Lael Aumiller creates stunning special-occasion cakes that are as pleasing to the taste buds as they are to the eye—and they’re also all vegan and gluten-free! 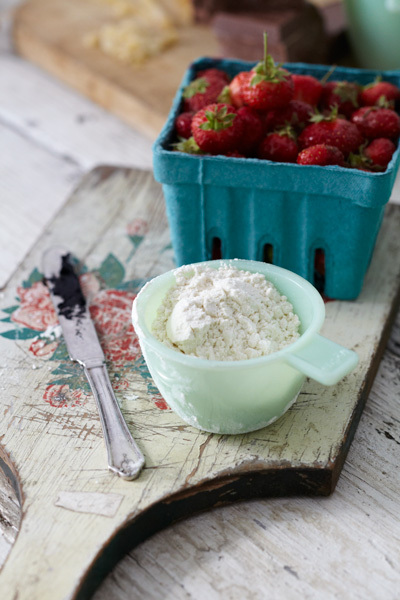 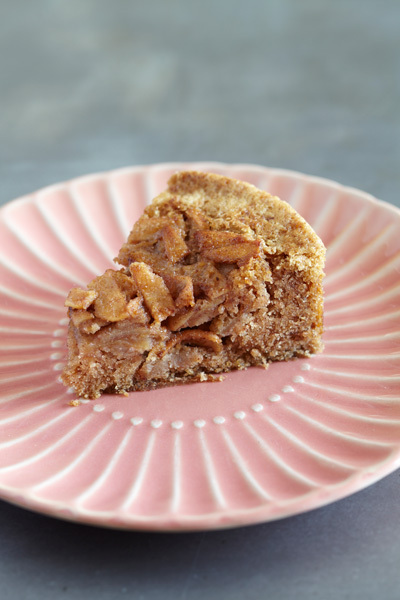 As more people are becoming aware of their dietary restrictions, Emily’s exquisite cakes provide a solution that leaves everyone happy while dismissing the idea that vegan and gluten-free desserts are by nature unattractive. 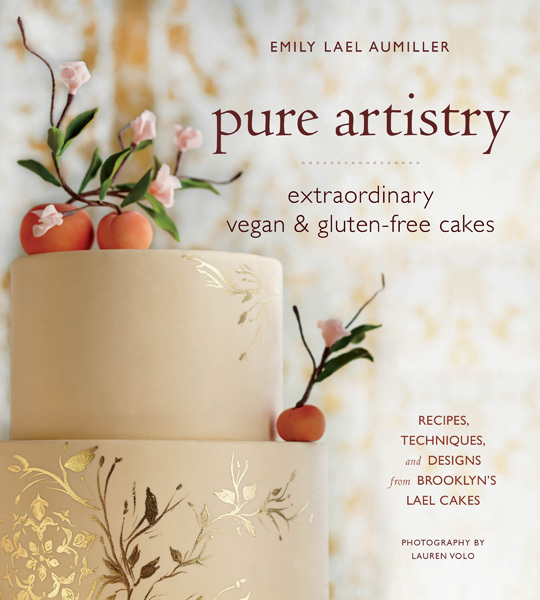 Pure Artistry: Extraordinary Vegan and Gluten-Free Cakes includes recipes for staple cakes (like Mexican Chocolate, Lemon-Poppy, and Classic Red Velvet) plus icings and fondant, how-tos on cake construction, and information on necessary ingredients and tools. 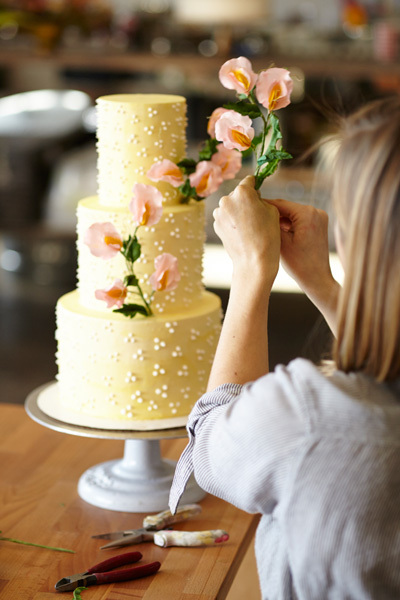 The truly extraordinary feature of the book is the gorgeous cake designs, which are organized by mood—classical, classical whimsy, modern, and modern whimsy. 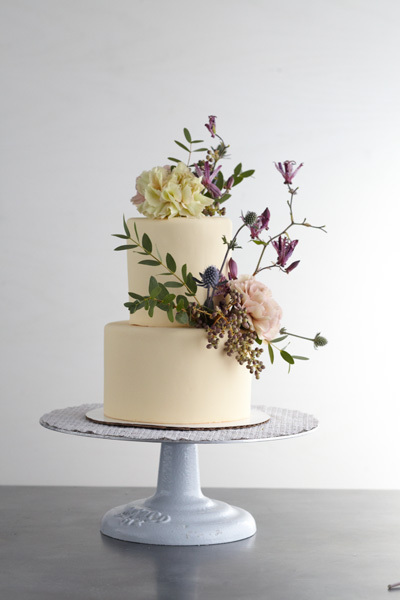 These teach the reader foundational decorating techniques, like making sugar flowers, while inspiring bakers with photography that is gorgeous enough to stand on its own.